The Winter 2014 issue of AQ magazine is now available! 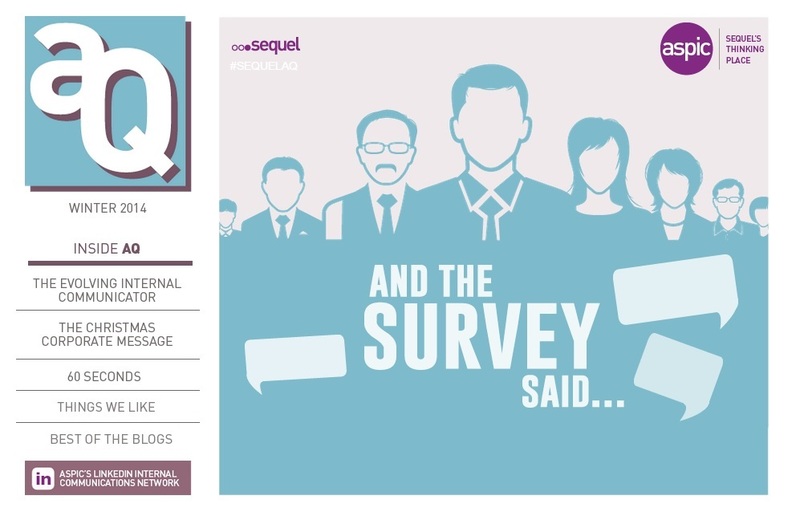 AQ magazine is our quarterly award-winning digital magazine about internal communications and a part of the Association for Strategic Practitioners in Internal Communications (Aspic) networking group. There’s a surprising lack of data available in our industry allowing us to compare the work of our organisation with others, so we ran an online survey to build a picture of internal comms in 2014 and what we can expect to see next year. 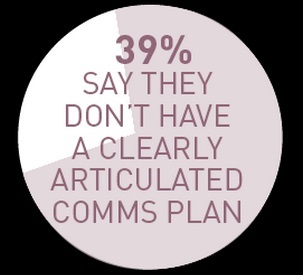 With 39 per cent of respondents saying that they don’t have a clearly articulated comms plan and 15 per cent looking to use video in 2015 the findings were insightful and varied. We’ve put together our thoughts from Sequel Group, along with commentary from Justine Stevenson, Communications Manager for Global Business Services for SAB Miller, about the changing role of the internal communicator. Charles works in corporate communications for this small and unique company that is the market development organisation for the world gold industry. We spoke to him about the challenges he faces communicating with a small but global audience. Our regular features look at some of our favourite (and often silly!) recent blogs and videos. For more information on AQ and Aspic please email Sally.Longstaff@sequelgroup.co.uk.